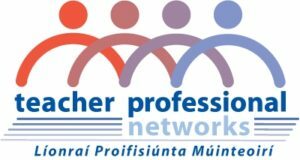 The Association of Geography Teachers of Ireland (AGTI) held a national consultation event on the new Junior Cycle Draft Geography Specification in Athlone on Saturday 29th April 2017. The event was open to AGTI members and non-members. 50 teachers attended this session which was co-funded by the AGTI and the Teacher Professional Networks. Teachers were given a copy of the Specification and a copy of the National Geographic article on Geoliteracy by Daniel C. Edelson (https://media.nationalgeographic.org/assets/file/Geo-Literacy_Backgrounder.pdf). Teachers were given a short presentation on the structure of the Specification with attention being drawn to the concept of Geoliteracy, the Action Verbs, and the relation between the Strands and the Elements of the Specification. The Classroom Based Assessments were also highlighted. What geography you think it is desirable students should learn at lower second level. What are the strengths and weaknesses of the Specification? Is there too much/too little of something? Any other SRPs! (significant relevant points). Oral feedback was collated from 8 groups. This allowed discussion and clarification across groups. In addition to this, each group contributed notes on flip-chart paper. This feedback has been summarised below. The feedback below summarises statements which were either singly mentioned or mentioned multiple times by attendees. There was a broad welcome for the Specification. Notwithstanding concerns about resourcing, and the level of detail that was required to be taught, several key themes emerged. There should be a much more explicit presence of OS Maps and photographs in the Specification, especially as these suit less-able students and this has heightened importance in a Common Level Specification. This could take the form of a dedicated Learning Outcome on the technical components of maps and photographs while leaving the human and physical landscape integration as it is currently. While there is value to having less-well defined Learning Outcomes, the group felt that, in general, the Learning Outcomes were too vague and/or too broad. Certain Learning Outcomes stood out here; those on weather and climate, settlement, migration, life chances, and energy resources. A more clear wording of the Learning Outcomes, and reference to ‘a’ case study, or alternatively a specific case study, in some Learning Outcomes could help this. Teachers also felt that it would be useful to have a table that showed the interconnections between the Learning Outcomes. This would help avoid the temptation to teach the Specification in a linear fashion. There was a consensus, strongly voiced, that there needed to be a more detail required on rivers, coastal and glacial landforms. The Elements need to be made more explicit in the Learning Outcomes. It would be useful to know which Learning Outcomes speak to which Key Skills. While the term ‘Geoliteracy’ was welcomed, there was no specific mention of the Three I’s in the feedback. The Specifications need to allow for different teachers’ strengths. Learning Outcomes are too open to interpretation. Only 3 references to ‘Identify’ – this is needed to cover the basics. Too many higher-order thinking skills. There is a lot of cover – how much detail? – it’s going to be hard to find a balance between delivering the Specification and making sure students are prepared for the examination. Might be better not to use ‘investigate’ this is suggestive of a field study. There’s a lot of material on settlement. Lots of material on weather. There is only an introduction to rivers coasts and glaciation. This is a huge loss. It’s hard to teach the processes in isolation from the formation of landforms. A possible approach here is that students learn all but do one in detail. There should be table to show the Learning Outcome linkages across the strands. This would be an aid to teachers. The use of case studies could benefit depth of learning. It will be useful if the Learning Outcomes included “with reference to a case study”, if not a specific case study. It would be useful to have some indication are which Learning Outcomes should be taught in which years, especially given that this is a common Specification. The Specification is “intense” – the Learning Outcomes are too broad. There appears to be a lot of detail; how much detail do teachers teach? Do students just have to study just one soil in their local area? – teachers’ interpretation of this Learning Outcome could affect learning in Learning Outcome 2.5 and Learning Outcome 3.4. There were several issues with this LO inlcuding how it would/could be interpreted and whether it had to be curent, Irish, international etc. There is a lot of energy resources – how many should students do? 2.3 is huge. LO 2.3 should have a case study or allow the students to pick one of their own choice. What does it mean? And is it for seas, rivers and ice? What level of detail is needed here? The language here needs to be more specific. The Key Skills need to be made more clear in the Specification – which Learning Outcomes address which key skills? The Elements need to be linked into the wording of the Learning Outcomes. This is especially important for Sustainability – it is unclear that this should be common throughout the Specification. The presence of OS maps and photographs needs to be made more clear in the Specification. They should have their own Learning Outcome or be explicit in each Strand – weaker students depend on maps in the exam. The CBAs are good, but there are only 10% and should be more. There’s not enough time to complete the CBAs there’s only six hours for students to research and present them. The CBA should allow for the possibility of fieldwork. Can CBAs we done in groups? This could be clarified in the Specification. The contents and interconnections are good. Shows the need for scaffolding. It will allow students to see and appreciate geography. Lots of links across the strands. The cross links are good. Covers both coasts and ice. Strong emphasis on skills including evaluation and reflection. There’s a lot open to interpretation. There is the Specification as the NCCA designed it; it will be interpreted by JC for Teacher; and tehn interpreted by the teacher, and then by State Examinations Commission. The curriculum needs be broken down to suit the mixed ability of students. It would be useful to have Case Studies. It’s hard to know the level of detail. This will be difficult to teach at Common Level. There needs to be an ongoing review of the Specification. The time to teach this important. Concerns about CBAs being timetabled at the same time as other subjects. Should be a link to careers. LO 1.8 involves gathering weather data – will schools be given the equipment to do this? Articles and online material to help keep it current would be good. Need a location to collaborate, collect, and share resources. The Specification needs a set of teaching guidelines like for example in the leaving certificate course. There needs to be a App or online resource, especially for assessment, to help with teaching the syllabus. This should also help with self assessment; and could help teachers with providing feedback from students. There needs to be resources, especially digital but maps needs to be on paper. How are teachers to plan this? There should be online training. Concerns about funding for resources. Where will we get field study equipment? Concern was expressed about the nature of assessment. If a less academically able student does better than expected on a assessment, they are ‘above expectations’; If a more able student, performs at a higher level, but not more than expected, they ‘meet expectations’. The less able student will appear to have done better than the more able student. Clarification is needed on the relevant standards in assessment, especially considering the grading requirements of the final examination. Will there be a whole map question in the exam? Weaker students rely on the current map and photograph question. What will be examined? The Action Verbs or the content or both? There need sample exam papers as early as possible. This feedback was forwarded to the NCCA on Wednesday 3rd May 2017 and receipt was acknowledged. I woudl like to thank all those teachers who participated in this consultation, particularly as it was on a weekend.